At nearly 11,000 feet (3353 m), near the Sierra crest on the eastern edge of Yosemite National Park, the sunrise is frosty even in summer. 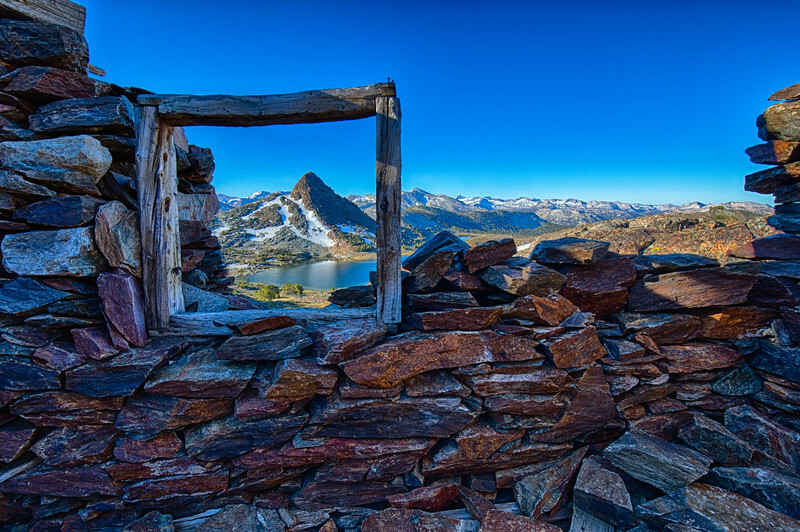 These 100-year old stacked rock walls and window frame are remnants of the Great Sierra Mine...a high elevation silver mine that never really "panned out". The view includes Gaylor Peak and Gaylor Lake.